Every day you handle more and more things online. But how can businesses and authorities be sure it’s you they’re dealing with? It’s paramount that your data is not accessible for everybody, and that the only one to use your identity is you. 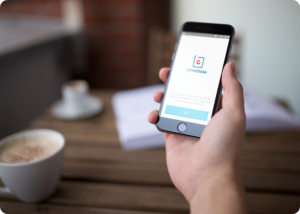 Now you can identify yourself online using your Cleverbase ID, which is linked to you personally. Registering is a breeze, and thanks to the video call, passport check and government monitoring I’m sure it’s safe. Cleverbase operates as a Qualified Trust Service Partner (QTSP) with a Dutch government license and, as such, is subject to continuous monitoring. Cleverbase products comply with the eIDAS high qualification, the highest standard proven safe for financial and medical data, among others.